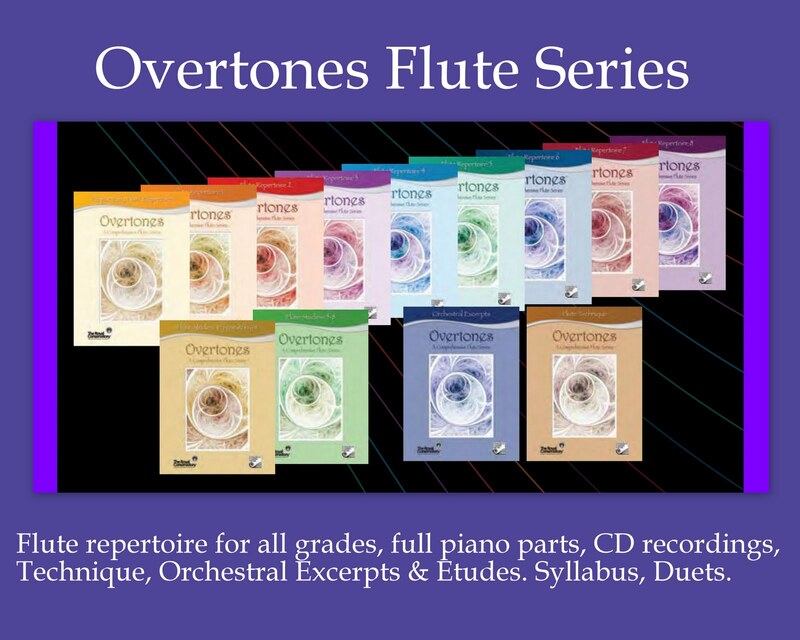 The Overtones Series for flute grades prepatory to 8 at Frederick Harris Music Publishers. 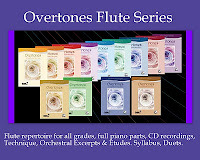 Click on FLUTE when you arrive at their site, and then to the complete Overtone series. 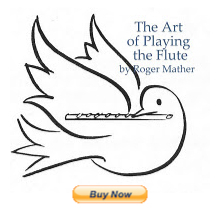 Full piano parts are included, and all the pieces in the sheetmusic volumes are recorded with flute and piano, then piano only on a separate track for playalong. Plus, two of my teachers, plus one of my old friends from highschool, and other of my favourite flutists are ALL performing on the CDs in this series. They are: Dianne Aitken, Susan Hoeppner, Nora Shulman, Douglas Stewart, and Jamie Thompson. Many more details can be found here at the RCM online newsletter. Could this be any more exciting? Did I mention "Run don't Walk"? What a terrific set of pieces, and so well performed. Teachers will find years of valuable repertoire pieces here for their students, and students will find each book to be full of inspiring and beautiful music in all styles from Baroque, Classical, Romantic, to Contemporary. Breathless with excitement over this brilliant sheetmusic publishing idea, and playing through them book by book. I never knew that both amazing musicians had such a close thought! e) allow the student to pre-practice with accompaniment so as to save time in paid rehearsals with accompanists. So glad these flute teachers at the Royal Conservatory of Toronto are so forward thinking!! !